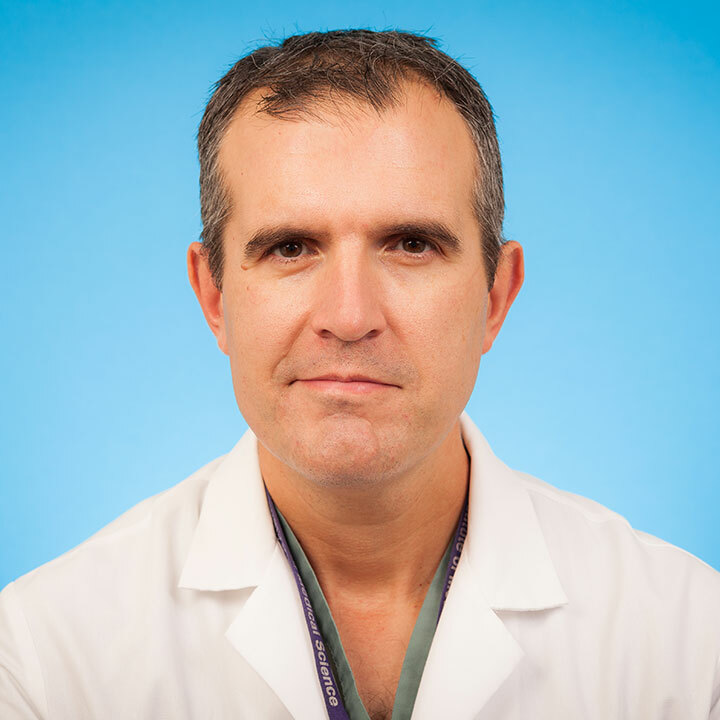 Dr. Teodor Grantcharov is a Staff Surgeon at St. Michael’s Hospital and a Professor of Surgery at the University of Toronto. He completed General Surgery residency at the University of Copenhagen, and a doctoral degree in Medical Sciences at the University of Aarhus in Denmark. He then completed a fellowship in Minimally Invasive Surgery at the Western Pennsylvania Hospital, Temple University School of Medicine in Pittsburgh, USA. Dr. Grantcharov holds the Keenan Chair in Surgery, a Hospital-University named chair between St. Michael’s Hospital and the University of Toronto. He also holds a Canada Research Chair in Simulation and Surgical Safety. His clinical interest is the area of minimally invasive surgery, with a focus on foregut disease including cancer and revisional bariatric surgery. His area of academic interest is in the field of minimally invasive surgery, surgical education and patient safety. He has become internationally recognized as a leader in this area with a focus on curriculum design, assessment of competence and impact of surgical performance on clinical outcomes. Dr. Grantcharov has more than 120 peer-reviewed publications and more than 130 invited presentations in Europe, South- and North America. He sits on numerous committees with The American College of Surgeons (ACS), The Society of the American Gastrointestinal and Endoscopic Surgeons (SAGES), and The Association for Surgical Education (ASE). He also sits on the Editorial Boards of The British Journal of Surgery and Surgical Endoscopy. Kolodzey, L, Trbovich, P, Kashfi, A, Grantcharov, TP. System Factors Affecting Intraoperative Risk and Resilience: Applying a Novel Integrated Approach to Study Surgical Performance and Patient Safety. Ann. Surg. 2019; :. doi: 10.1097/SLA.0000000000003280. PubMed PMID:30946083 . Jung, JJ, Yule, S, Boet, S, Szasz, P, Schulthess, P, Grantcharov, T et al.. Nontechnical Skill Assessment of the Collective Surgical Team Using the Non-Technical Skills for Surgeons (NOTSS) System. Ann. Surg. 2019; :. doi: 10.1097/SLA.0000000000003250. PubMed PMID:30817354 . Jung, JJ, Adams-McGavin, RC, Grantcharov, TP. Underreporting of Veress Needle Injuries: Comparing Direct Observation and Chart Review Methods. J. Surg. Res. 2019;236 :266-270. doi: 10.1016/j.jss.2018.11.039. PubMed PMID:30694765 . Alsubaie, H, Goldenberg, M, Grantcharov, T. Quantifying recall bias in surgical safety: a need for a modern approach to morbidity and mortality reviews. Can J Surg. 2019;62 (1):39-43. doi: 10.1503/cjs.017317. PubMed PMID:30693745 PubMed Central PMC6351262. Jung, JJ, Kashfi, A, Sharma, S, Grantcharov, T. Characterization of device-related interruptions in minimally invasive surgery: need for intraoperative data and effective mitigation strategies. Surg Endosc. 2019;33 (3):717-723. doi: 10.1007/s00464-018-6254-5. PubMed PMID:30693388 . Boet, S, Etherington, N, Larrigan, S, Yin, L, Khan, H, Sullivan, K et al.. Measuring the teamwork performance of teams in crisis situations: a systematic review of assessment tools and their measurement properties. BMJ Qual Saf. 2019;28 (4):327-337. doi: 10.1136/bmjqs-2018-008260. PubMed PMID:30309910 . Gordon, L, Austin, P, Rudzicz, F, Grantcharov, T. MySurgeryRisk and Machine Learning: A Promising Start to Real-time Clinical Decision Support. Ann. Surg. 2019;269 (1):e14-e15. doi: 10.1097/SLA.0000000000002877. PubMed PMID:30048316 . Jung, JJ, Jüni, P, Lebovic, G, Grantcharov, T. First-year Analysis of the Operating Room Black Box Study. Ann. Surg. 2018; :. doi: 10.1097/SLA.0000000000002863. PubMed PMID:29916872 . Goldenberg, MG, Lee, JY, Kwong, JCC, Grantcharov, TP, Costello, A. Implementing assessments of robot-assisted technical skill in urological education: a systematic review and synthesis of the validity evidence. BJU Int. 2018;122 (3):501-519. doi: 10.1111/bju.14219. PubMed PMID:29603869 . Fecso, AB, Kuzulugil, SS, Babaoglu, C, Bener, AB, Grantcharov, TP. Relationship between intraoperative non-technical performance and technical events in bariatric surgery. Br J Surg. 2018;105 (8):1044-1050. doi: 10.1002/bjs.10811. PubMed PMID:29601079 .